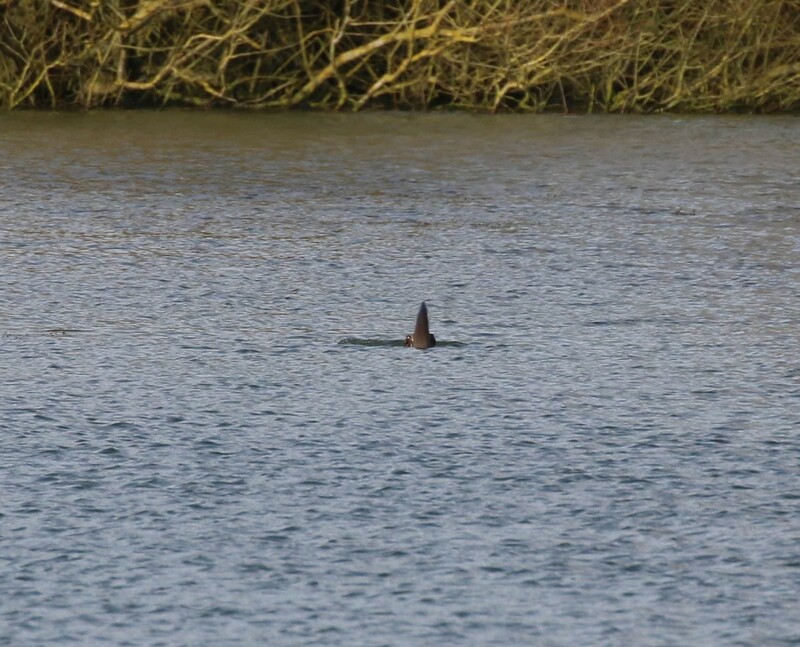 Julian Lambely has provided photos of an Otter spotted at Foxcote reservoir on 10 Jan 2016 at 11:30. 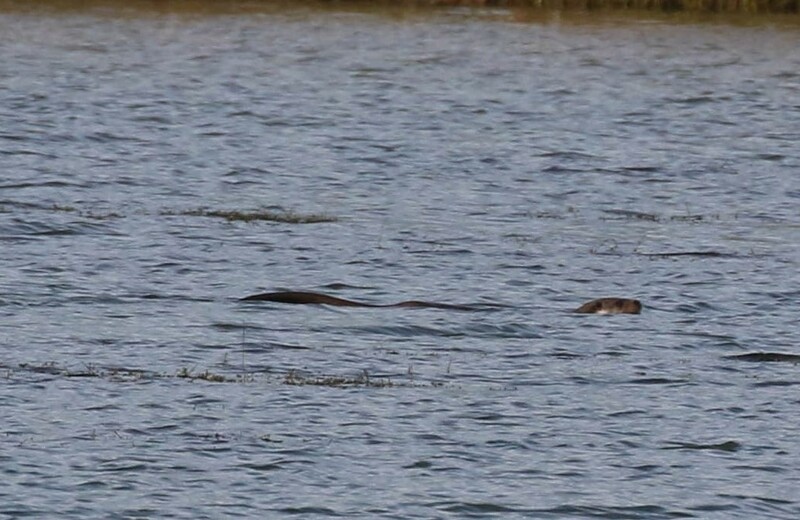 The otter was diving some distance from the hide repeatedly before retreating to the bank to feed. It showed very well this morning for about 10-15 minutes at about 11:45 hrs in the SW corner of the reserve (just to left of hide), diving frequently and then eating whatever it was catching on the surface (probably small fish or crayfish). At about midday, it caught a larger fish and swam with it towards the bank where it was lost to view behind reeds. Clearly it is not put off by human disturbance, as there were close to 25 people in the hide at times this morning for BBOWT’s winter birdwatching event. At the time it was seen, there were about a dozen people … but they were still making a fair bit of noise! As previously reported, scattering wildfowl (which are now in much better numbers) are a good indication of its presence … it was how it was first found this morning. This entry was posted in News on 11/01/2016 by admin.